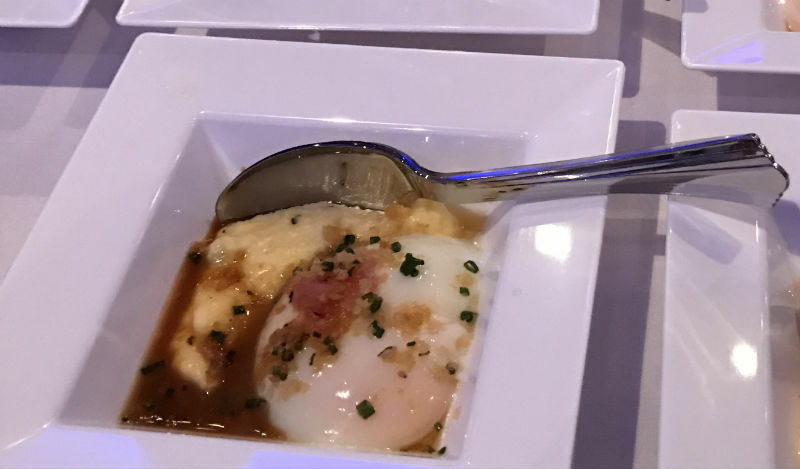 Originating in Northern Italy as a peasant food, polenta has gained popularity in the U.S. for its creamy texture and versatility. Traditionally made from coarsely ground cornmeal, polenta is naturally gluten-free and can be served with or without added spices and cheeses, making a great entrée base or side. It’s even versatile enough to be cooled, sliced and fried, or baked into polenta cakes or polenta fries, which can then be topped with any number of ingredients and sauces. 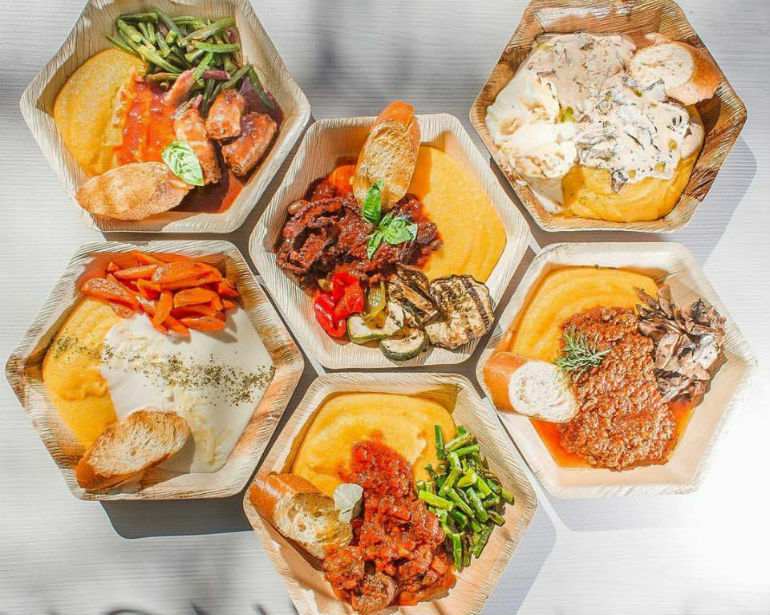 In Milan, Chalouhi said it’s common to find fast-casual restaurants offering build-your-own polenta dishes. Chalouhi said the three most popular dishes at The Polenta Bar so far have been the Salsiccia, topped with spicy Milanese sausage in tomato sauce; the Ragu, a traditional Bolognese; and the Wild Boar. At the Orchids at Palm Court inside the Hilton Cincinnati at Netherland Plaza, chef Todd Kelly offers polenta fries with smoked aioli, harissa and parsley on the bar menu. 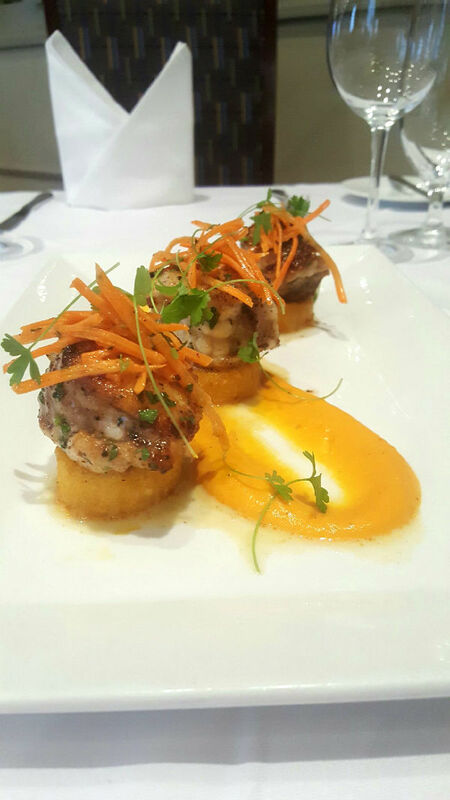 At Davio’s Northern Italian Steakhouse in Boston, chef and culinary director Rodney Murillo serves a crispy polenta alongside his seared monkfish, curried coconut carrot ginger puree, and carrot slaw. 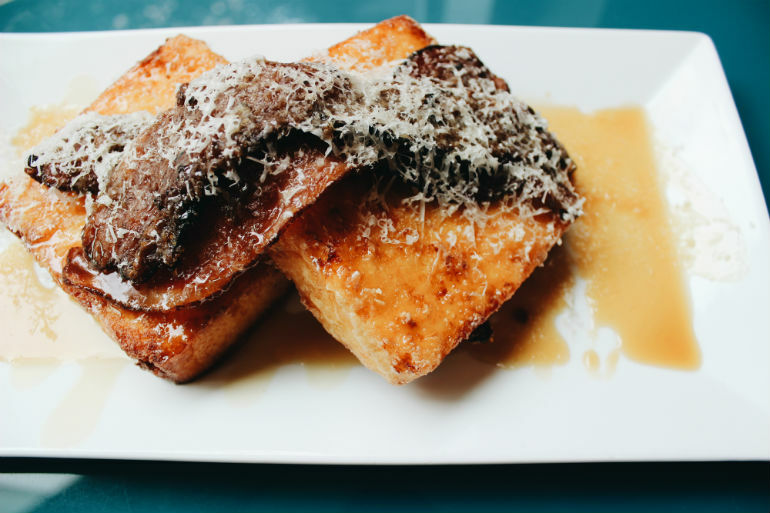 Hot-off-the-griddle polenta cakes are topped with candied bacon, aged white cheddar, and Oregon honey butter at The Original Dinerant in Portland, Ore.